Comments: ***THIS IS A CUSTOM EDITION. MISSING CHAPTERS 4,13,14,15. *** Book in 'Good' Condition and will show signs of use, and may contain writing, underlining, &/or highlighting within. 2nd Day Shipping Offered! All books ship same or next business day. Used books may not contain supplements such as access codes, CDs, etc. We have the best customer service online!This is the U.S. student edition as pictured unless otherwise stated. Comments: ***THIS IS A CUSTOM EDITION. MISSING CHAPTERS 4, 13, 14, 15. *** Book in 'Good' Condition and will show signs of use, and may contain writing, underlining, &/or highlighting within. 2nd Day Shipping Offered! All books ship same or next business day. Used books may not contain supplements such as access codes, CDs, etc. We have the best customer service online! This is the U.S. student edition as pictured unless otherwise stated. Comments: RECEIVE IN 2-3 BUSINESS DAYS WHEN YOU CHOOSE EXPEDITED SHIPPING! Book contains moisture damage.. Used books cannot guarantee unused access codes or working CD's! 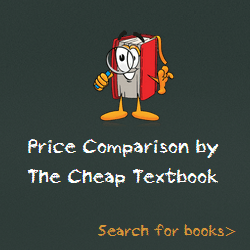 This entry was posted in Book and tagged 007802563X, 978-0078025631, 9780078025631, Accounting Textbooks on July 24, 2014 by Textbooks.